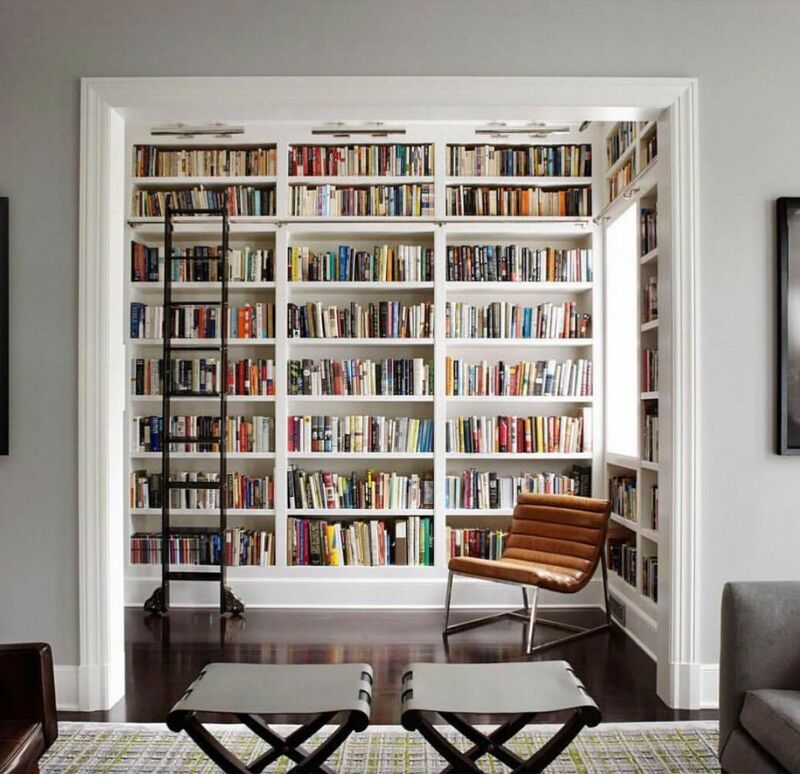 These spaces are a bibliophile’s dream. 1. 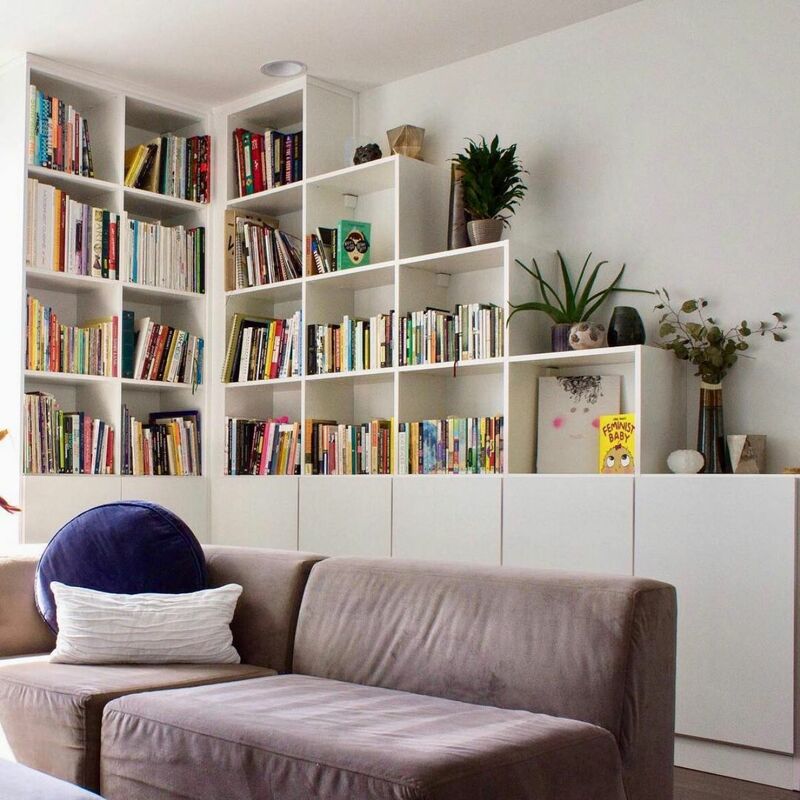 This minimal reading corner with floor-to-ceiling bookcases. 2. 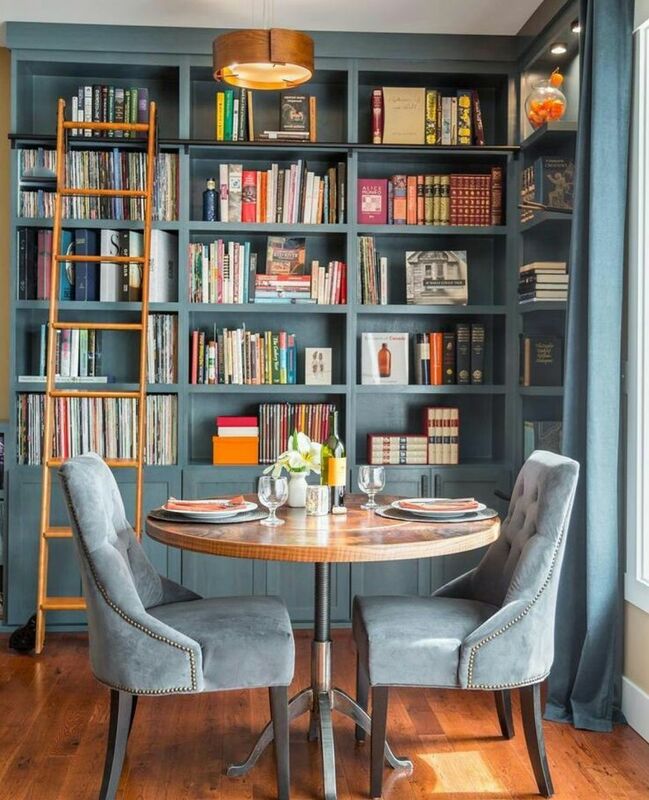 This blue-hued space that also includes a table for two. 3. 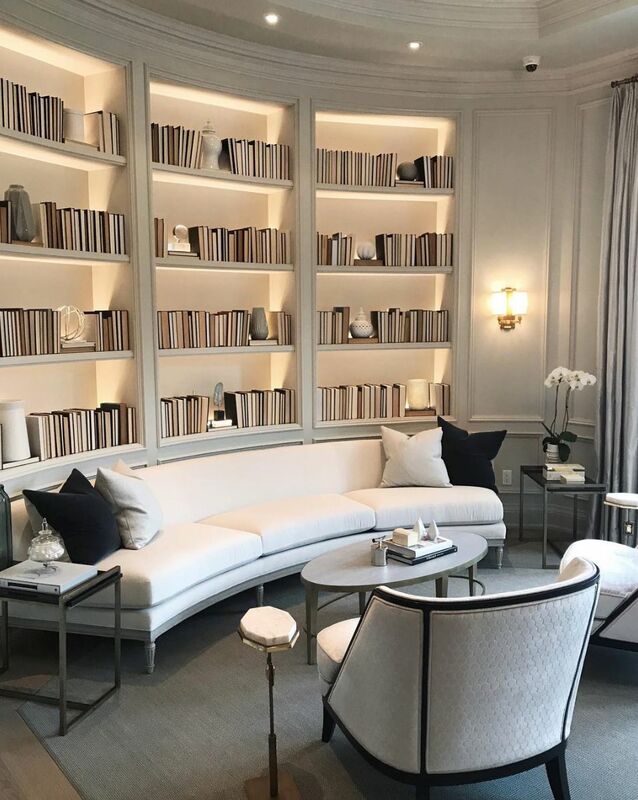 Or this sophisticated retreat with the books shelved backwards (controversial, we know). 4. This open doorway flanked by tall and narrow built-ins. 5. This kid-friendly library with a table for completing homework assignments. 6. This ROYGBIV-ordered collection in a diamond-shaped shelving unit. 7. 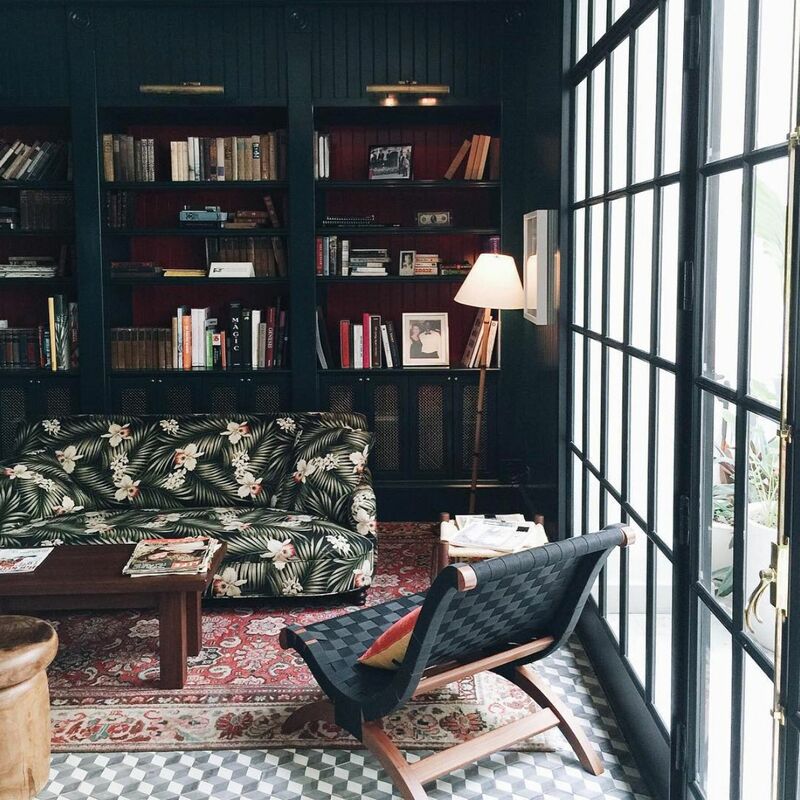 This sun-drenched reading area with a cozy window seat. 8. 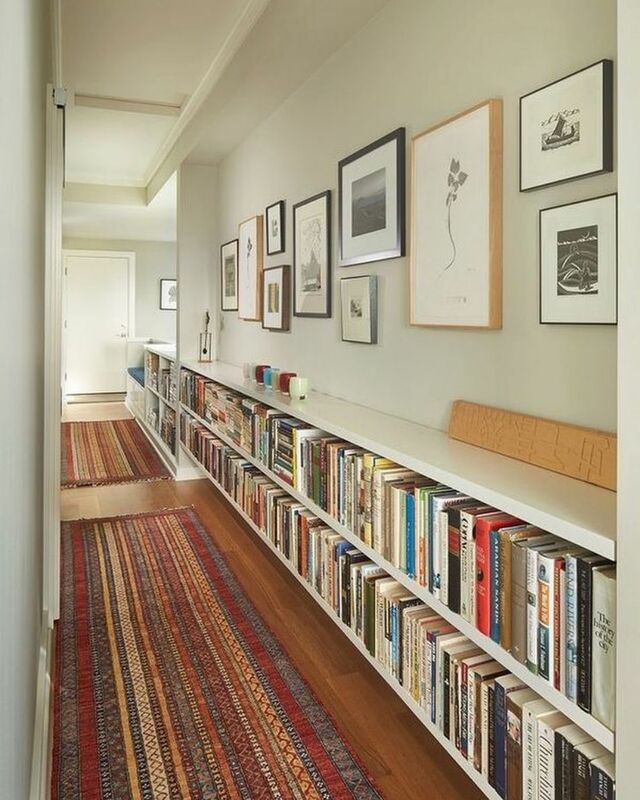 This hallway library that makes it easy to find the book you’re looking for. 9. 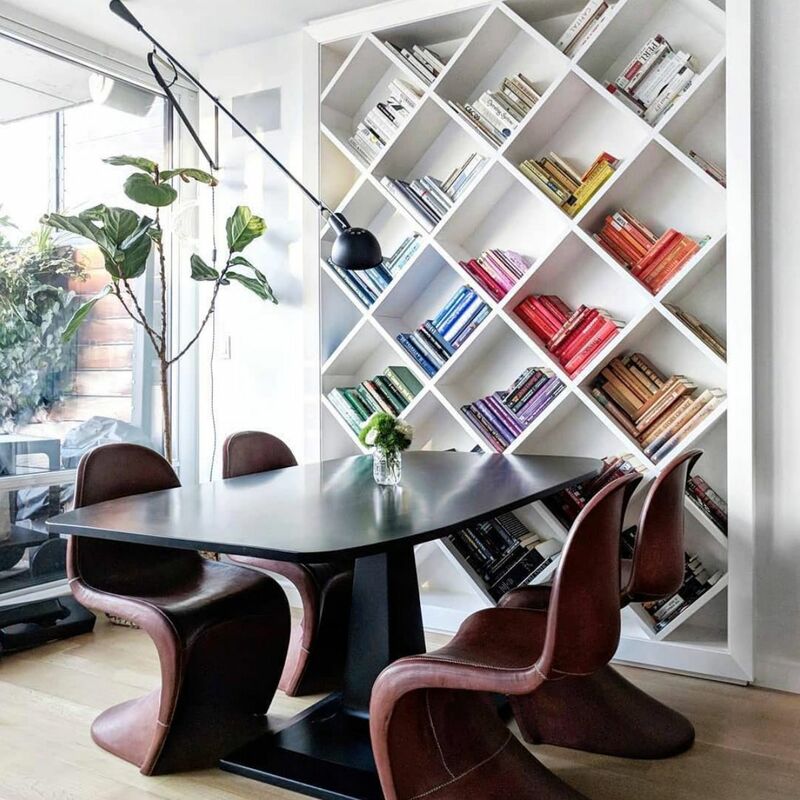 This asymmetrical bookcase design that creates an instant focal point. 10. 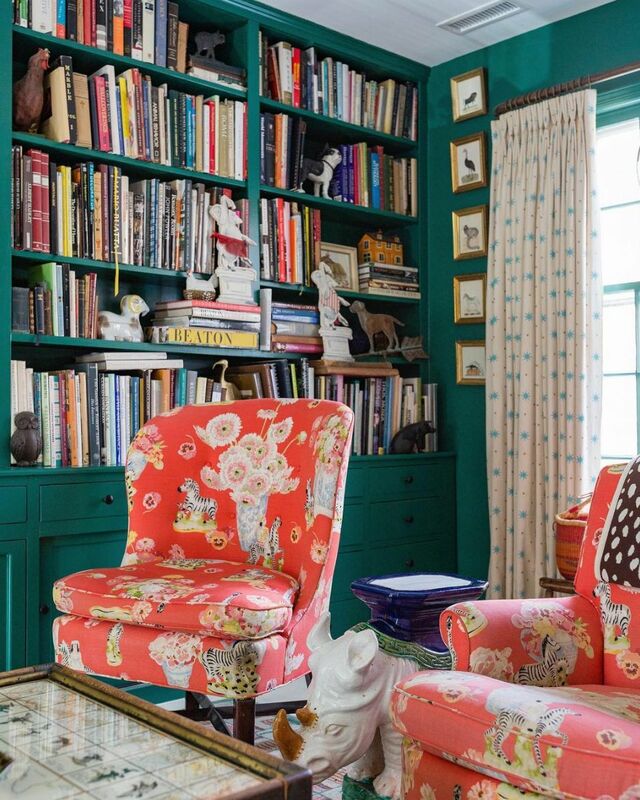 And this eclectic reading space featuring bold color combos. 11. 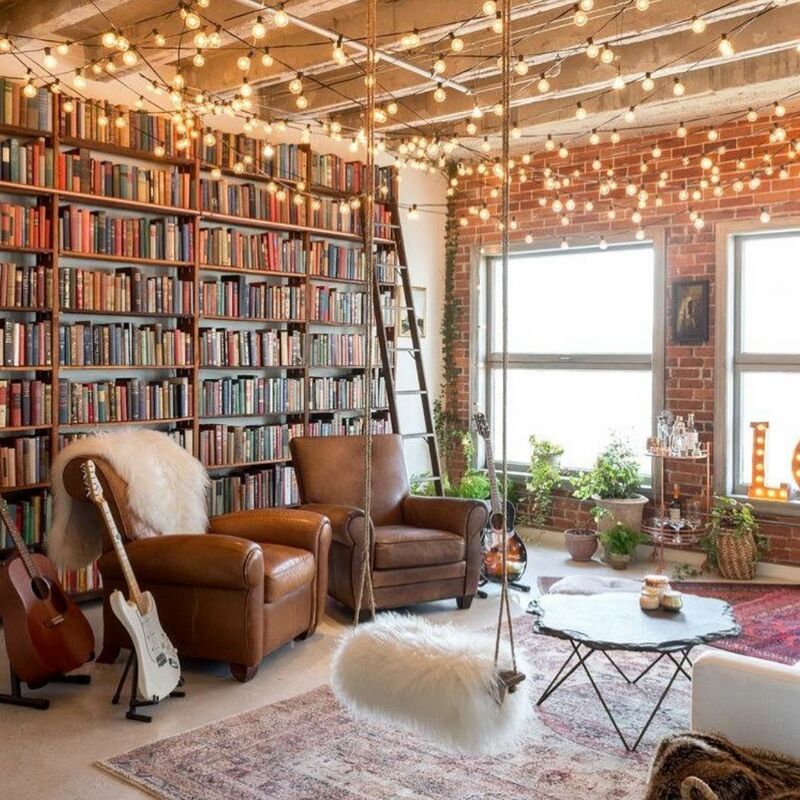 This whimsical loft that’s brimming with books and twinkle lights. 12. 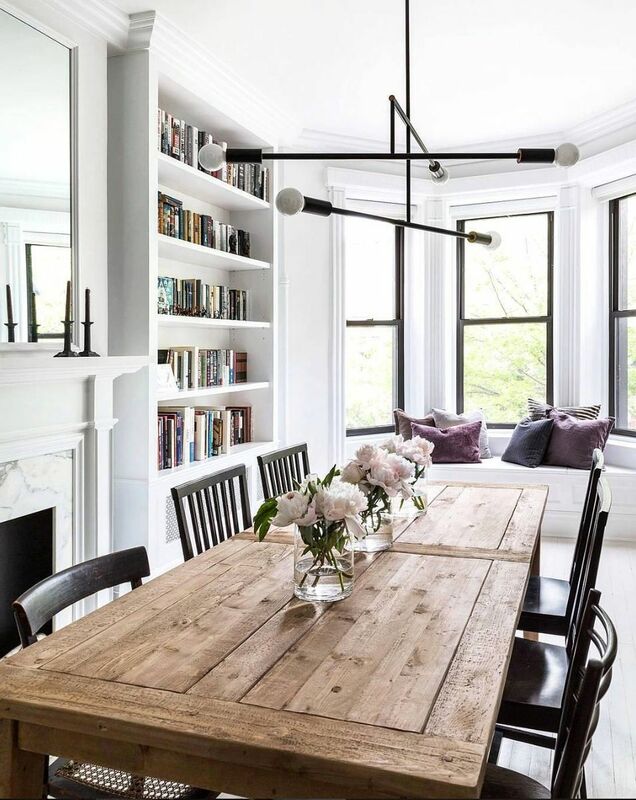 This welcoming space that perfectly balances masculine and feminine decor styles. 13. 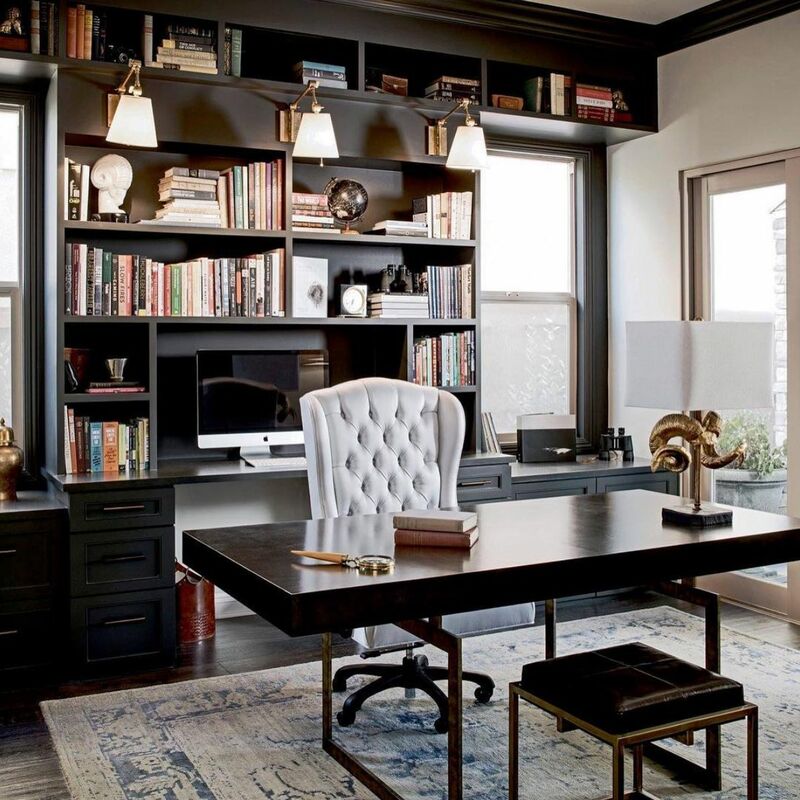 This traditional home-office-meets-home-library with well-styled shelves. 14. 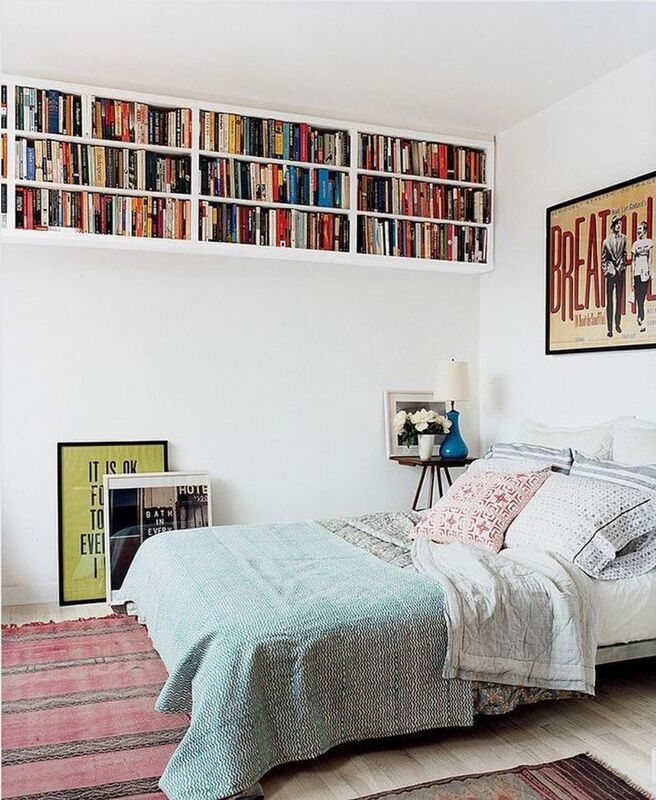 Or this bedroom library that makes it easy to get a few chapters in before bed. 15. 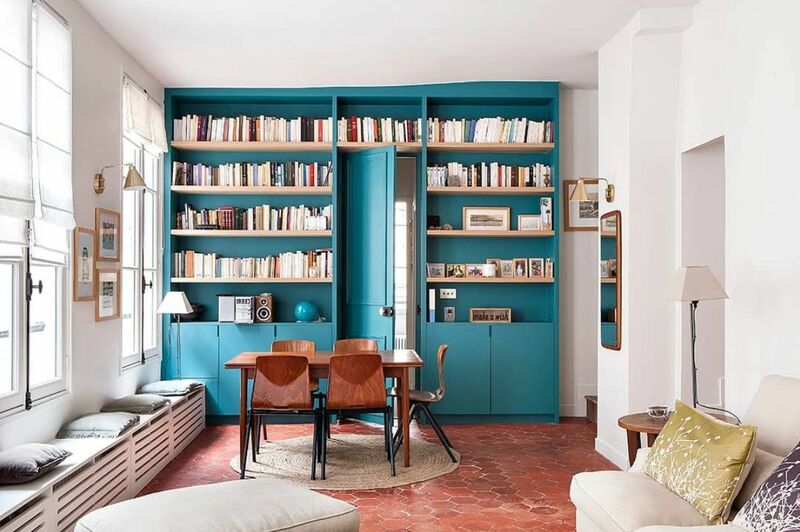 This vibrant teal library with an almost-hidden door. 16. 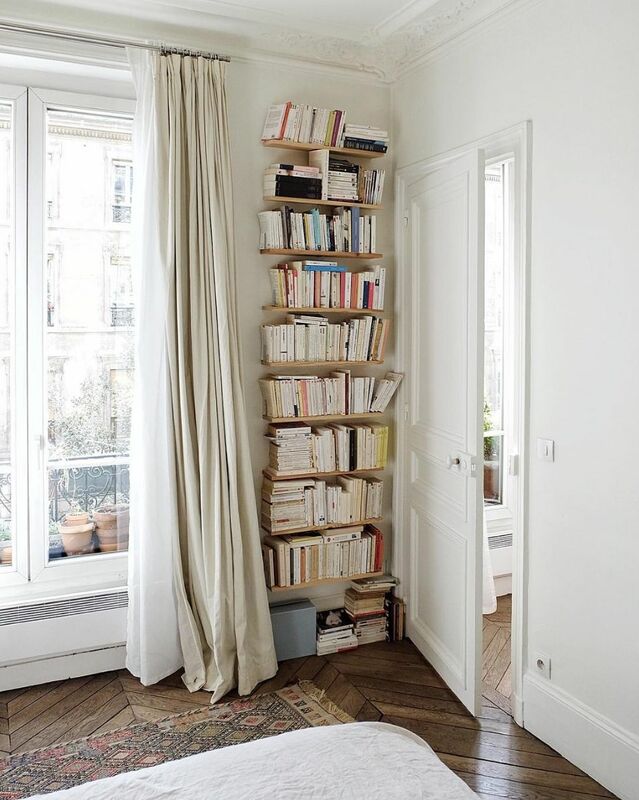 This small Parisian apartment that utilizes floating shelves. 17. 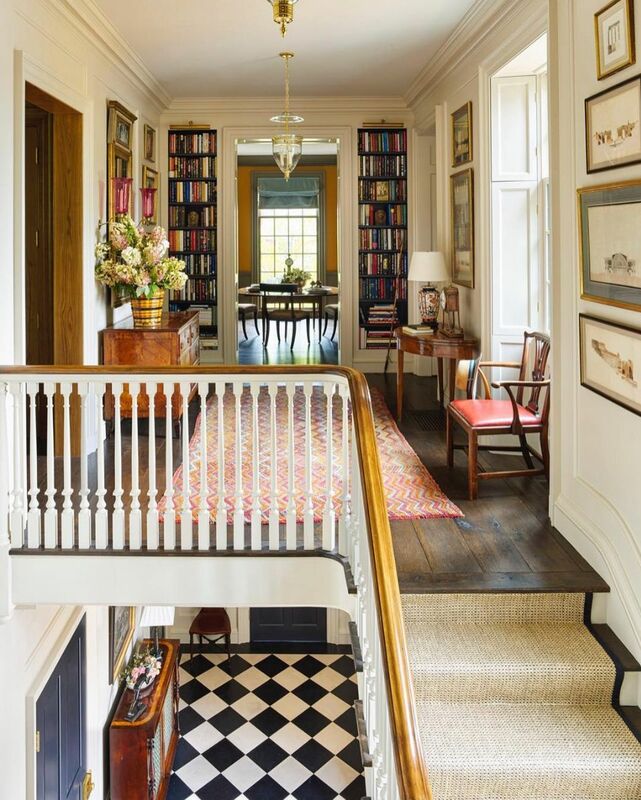 This elegant, moody space filled with power clashing patterns. 18. 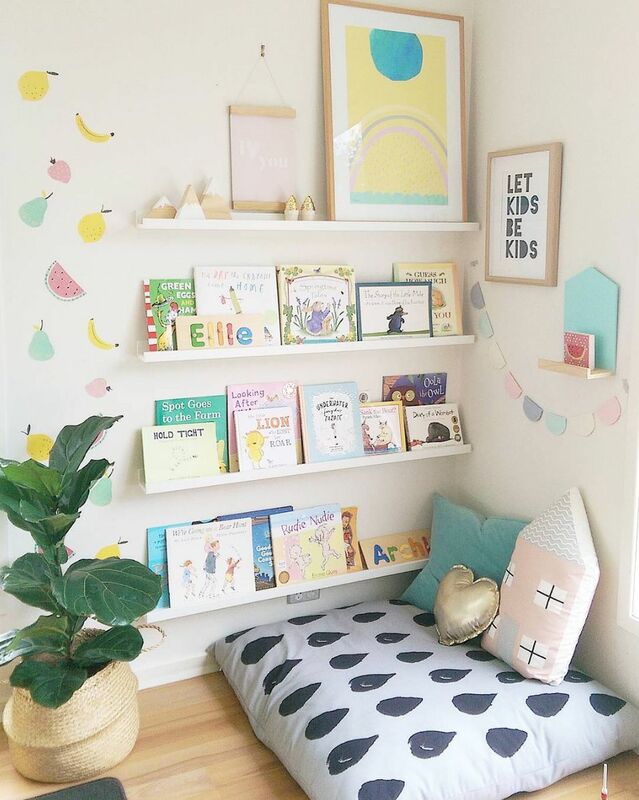 This adorable kids’ reading corner that encourages learning. 19. 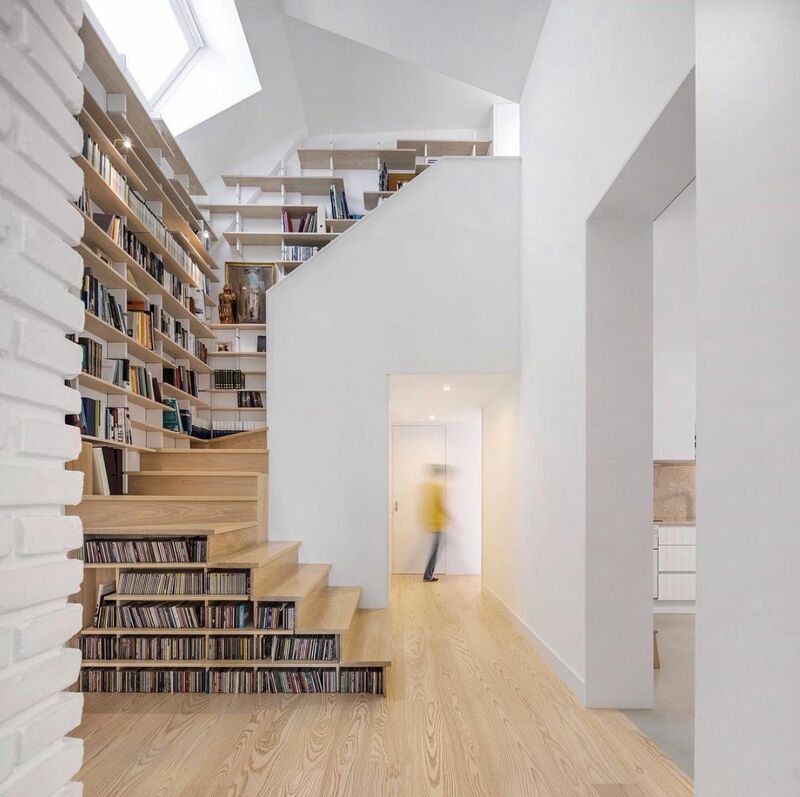 And finally, this crazy creative staircase with reading material on every level.